From a divorcee with two children who has an amicable co-parenting relationship, where the father is a large part in the children’s lives: It is important that once a relationship reaches a certain stage that you introduce and allow your significant other to be a part of the relationship with your children. There were many comments of whether Future or Russell Wilson is a better fit parent and Future shouldn’t have left if he didn’t want Russell to be a part of the family. Now remove whether someone is a better fit parent or not, in a situation where two people ended a relationship amicably and are equally vested in their children’s lives but chose that aside from their children, the relationship was beyond reconciliation- in this situation, you should want your mate to move on and be ultimately happy. Let your ex move forward with their lives, which means eventually dating and developing a meaningful relationship. Eventually, your ex and his or her new gf or beau will be a larger part of his or her life and would be interacting with the child you two had together. It is important for the parent to establish roles, encourage and foster the friendship between the child and their new love interest but not discount the relationship their child has with the other parent. It is important for the other parent to respect their exe’s relationship and take a step back and not mingle in their child’s relationship and potential second-extended family with their exe’s new beau, provided the relationship is healthy and complementary/better to the upbringing standards that you envision for your children. The time when it is warranted, if the ex is a threat to the other parent and the children. At that time, you should be seeking custody, because the other parent is not exercising good judgment in her dating choices that are negatively affecting the child. Admittedly, this is not that easy. Divorce and break-ups result in heartbreak. It is difficult to see your ex move on with another love interest no matter how the relationship ended. Especially, if you haven’t gotten to the same stage of finding someone new yourself. So it is definitely hard to see that same person replace you and now developing a relationship with your sprouts. But it is not about you. It is about them finding their happy. If the person they choose to spend time with is someone with good character and has a positive spirit around your children, and they are not discounting your parenting efforts, take a step back. Focus on your time with your children. Thus, Future public remarks about Ciara displaying time shared with her boyfriend and her son, are not necessary. Russell is a positive role mode and all around great guy. 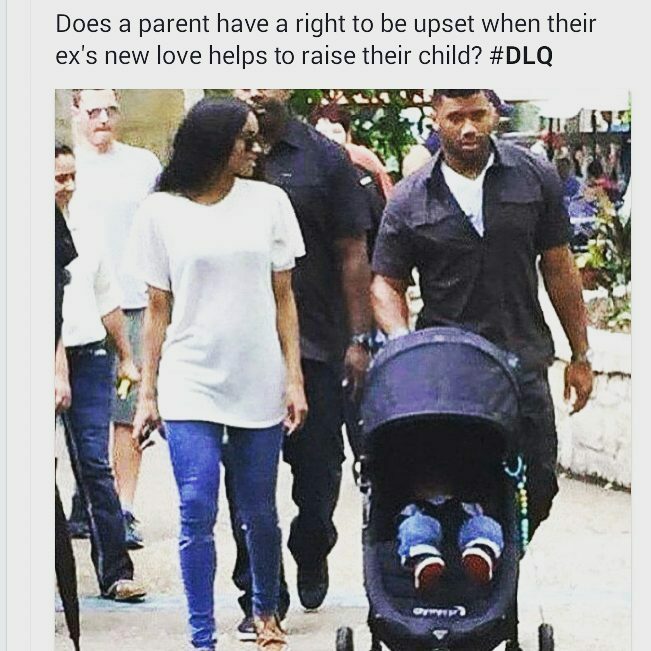 Support your ex’s happiness and focus on spending more time with your other children and the time you spend with the child you share with Ciara.